Henry was born just before the first battle in the Wars of the Roses. 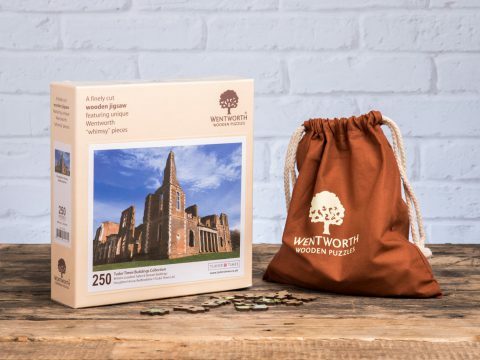 His mother, Lady Margaret Beaufort, who was no more than thirteen at his birth, was a great-granddaughter of John of Gaunt, and second cousin of the half-blood to the King, Henry VI. She was her father’s only child, and heir to a considerable estate. His father was the King’s half-brother, who, as the son of Katherine de Valois, had no claim to the English throne, but was a warm supporter of the King in his rivalry with Richard, Duke of York. When Henry VI was deposed in 1461, and replaced by York’s son, as Edward IV, Henry, who had previously been in the care of his uncle, Jasper Tudor, Earl of Pembroke, was sent to the household of one of Edward IV’s supporter, William Herbert, who was now named Earl of Pembroke. With the readeption of Henry VI, he returned to Jasper, but then, when Edward IV was victorious at Tewkesbury in 1471, he and Jasper fled to Brittany. Henry spent the next twelve years first in Brittany as the ‘guest’ of Duke Francis, who, on a couple of occasions considered selling him to the Yorkist kings. When Richard III took the throne from Edward IV’s son, many of the Yorkist supporters were horrified, and turned to Henry as a way of removing Richard. 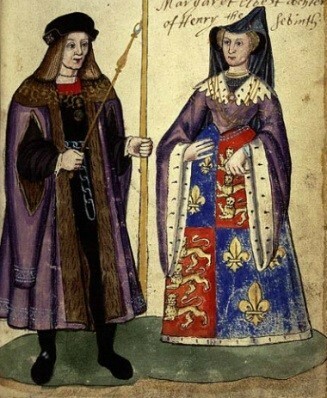 In December 1483, Henry swore an oath in Rennes Cathedral, that he would marry Edward IV’s daughter, Elizabeth, or one of her sisters, if she had died or married elsewhere. In 1485, Henry mounted a second invasion of England - the first, in 1483, had gone awry before Henry landed. He defeated and killed Richard III at the Battle of Bosworth on 22nd August 1485. In January 1486, he redeemed his promise to marry Elizabeth of York, and the couple had six children, of whom three survived him. In the early days of his reign, Henry made great efforts to reconcile York and Lancaster, but the Simnel and Warbeck rebellions soured relationships. Nevertheless, he held onto the throne, and as the years went by, so any realistic threat of topping him receded. Henry was not a warlike man, so, although he mounted a successful campaign against France, in support of his ally, Brittany, he was not eager to prosecute the war, and took the handsome pension the French offered. In general, Henry ruled through financial penalties, rather than bloodshed. Although he executed Edward, Earl of Warwick, on a trumped up charge, it made him uneasy, and he generally preferred fines and imprisonment to execution. Henry’s aim was to create a stable monarchy, with sufficient financial resources to run the country, and minimise the need for calling Parliament. He also wanted recognition for his house abroad, and arranged a grand marriage for his eldest son, Arthur, to Katharine of Aragon, daughter of the Catholic Kings of Spain. His ultimate diplomatic coup (although it came to nothing after his death) was the betrothal of his daughter, Mary, to Charles, Archduke of Austria, who it was correctly anticipated would be Emperor. He largely settled matters on the Anglo-Scottish border with a marriage between his eldest daughter, Margaret, and James IV of Scotland. 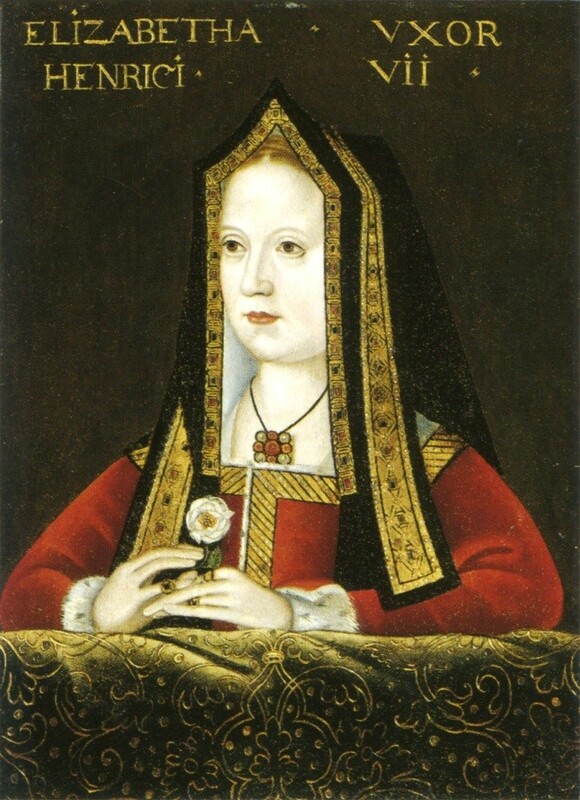 In 1502, his achievements began to slip away when his son, Arthur, died, shortly followed by the death of Elizabeth of York, whom he had been sincerely fond of. During the last six years of his reign, he shrank into misery and depression, and his financial demands came to be seen as rapacious and miserly. Henry was competent, intelligent, merciful and prudent, but he lacked charisma, and his death was greeted with relief.